Maryam Master has almost 20 years’ experience writing for young audiences. Her new play, the adaptation of David Walliams’ best-selling children’s novel Mr Stink, premiered at the Sydney Opera House in April 2016. In 2014 she wrote the stage adaptation of Oliver Jeffers’ book The Incredible Book Eating Boy, which premiered at the Sydney Opera House then went on to tour nationally and internationally. Maryam has also written Lah Lah’s Big Live Band, which debuted to sold-out audiences at the Opera House Concert Hall, ’Twas the Night Before Christmasand Jingle Bell Jazz (SOH Babies Proms), and Staging Stories, an interactive workshop for Sydney Opera House’s digital learning program. She is currently working on bringing Leigh Hobbs’ beloved character Horrible Harriet to the stage. 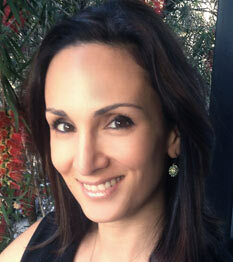 On television, Maryam has written for many major Australian and international programs. She was selected by Sesame Workshop as the writer for Elmo’s 2011 tour of Australia, and wrote Elmo and Ollie for Sesame and Nick Jr. She has also written for Hoopla Doopla (Beyond), Lah-Lah’s Adventures (Stella/Seven Network), Blinky Bill (Yoram Gross), Animalscope(CBeebies), Raggs (Southern Star/Seven Network), Dive Olly Dive (Flying Bark), New Macdonald’s Farm (Pacific and Beyond/Nine Network), Blue Water High (Southern Star) and Bambaloo (Jim Henson Co./Yoram Gross/Seven Network).